Traders and Brokers often consider Forex currencies the "best market"
trading forex, futures, options, stocks & the stock market. With that said, forex trading also involves significant high-risk, thus in addition to FX forex, traders should also consider trading other markets. The top-10 futures-markets were recently these; E-Mini S&P-500 (GLBX), 10-Year T-Notes (CBOT), Crude Oil (NYMEX), T-Bonds (CBOT). Ultra T-Bonds (CBOT), 5 Year T-Notes (CBOT), Euro FX (CME), E-Mini Nasdaq-100 (GLBX), Gold (COMEX), Natural Gas (NYMEX). The markets are ranked based on futures liquidity, with top liquidity market being #-1 ranked e-Mini-S&P. The more manageable size, lower margin needed, less risky and well diversified 8-market portfolio which we personally like (and our trading systems prefer) ranked in order of best liquidity consists of these markets: E-Mini S&P-500 (GLBX=3), 10-Year Notes (CBOT=10), Crude Oil (NYMX=1), Ultra T-Bonds (CBOT=2), Gold (COMEX=4), Corn (CBOT=5), Soybeans (CBOT=3) and lowest liquidity recommended market: Live Cattle (CME=4). Of course, the financial markets have different short-term and long-term price ranges, volatility, contract sizes and tick values. That results in somewhat mixed P&L results based on one single contract being traded. Therefore, to level the playing field an estimated number of contracts to trade are shown (next to exchange name above) to achieve approximately equal dollar trade profits. The P&L equalizing number of contracts is based on the maximum possible price change seen over past few years vs contract values. For example, trading 1 Crude Oil (NYMX=1) contract per signal, is comparable in profits and losses incurred over time vs trading 5 contracts of Corn (CBOT=5) for each trade entry signal. As a side-note, some of the worst and more difficult futures markets to trade with customary low liquidity, combined with potential erratic price behavior and subsequent high risk are Coffee, Sugar, Orange Juice, Cotton, Platinum, Chinese Yuan (and several other currencies), Silver and Heating Oil. P.S. That's a more or less subjective list based to a degree on the Editor's opinion. More about trading fx currencies; Forex futures robot testing web-sites have been testing robot after robot to find one which really works. As far as we know, upon their testing not even one automated forex robot has ever been found which actually worked in real-time trading (without the benefit of 20-20 hindsight) for traders looking for ways to successfully trade currency markets. We have now come to a conclusion none of the forex robots really work or perform consistently on their own. It seems most don’t do much more than sooner or later wiping out your account balance. There's a lot more to making money trading fx futures than offered by most mechanical trading systems. It's quite hard to make regular profits in forex currencies trading, and following all the trade signals generated by a trading system to make money trading forex. The good news is there is hope, in particular if combining a good trading system with time-tested Gann techniques (read much more about Mr. Gann below) to trade forex, stocks and commodity futures markets. We can teach you how to trade the markets for profit using Gann's best trading methods and learning how to use Gann Angles correctly. In our opinion, the most significant Gann trading method (and perhaps the easiest technical tool for many traders to learn and effectively use) is in fact Geometric Angles, which Mr. Gann used so extensively in his long trading career. Keep in mind, Gann Angles are natural and not necessarily complex or difficult to learn and master. With that said, geometric angles do need considerable study time, with an open mind and confidence, understanding angles use for new trader signals, where to expect market turning-points and knowing where valid and strong resistance and support areas are located on your price charts. In addition to the extremely meaningful angles, it's also important to learn about the squaring of price & time, using valid gann style construction "square charts" and gann charting methods, support & resistance numbers and levels, "gann numbers" and numerology. 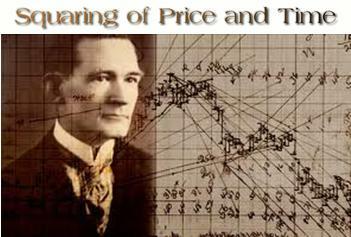 This Gann Trading Course teaches Gann's amazing methods for successful trading of commodities and stocks. If you closely read and study our unique Gann Course it's quite likely you will learn how to use and implement important Gann trading methods in your trading within 72-hours. 3-days is also the (minimum) time we suggest you set-aside to study and grasp the trade techniques. Extensive additional learning and studying is not usually needed or is it typically necessary. Nevertheless, more help is available if a trader desires more guidance or making it more logical. If that's applicable to your particular situation, we suggest you consider hiring a trader expert who can assist you on a much more personal level with trading consultation. This Gann traders course was written by a trader who has studied and used gann style trading methods for the past 30-plus years, including intense "squaring price and time" research and study. He is considered an expert on Gann and has worked hard on making the method understandable. Trading the financial markets using Gann can work well when trading most any futures, forex, indices or stocks. W D Gann was much more involved in inter-day (position trading) vs intra-day (day trading) and therefore mostly used daily bar-charts. With that said, gann trading techniques can also be used to day-trade the markets, what with gann methods also being applicable to intra-day bar charts such as hourly charts (and shorter time-frames). Day trading was not nearly as popular during Gann's time vs now, if it was, you can be sure Gann would have used geometric angles to make big money day trading too. 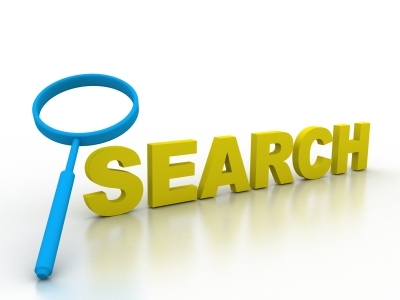 Please search our powerful trading search engine a place to do research or ask questions about any trading subject of interest when seeking daytrading or position trading info and learn about methods. You may type-in specific market names (bonds, corn, etc) and use keywords, phrases, terms, questions; i.e. how to make money trading gold, how to day trade for profits, ways to lower risk, making money by trading options, daytrading secrets, how to trade soybeans, what is forex trading, etc. Here are some (but not all) of the key subjects covered in our highly recommended Gann Techniques Trading Course, which can effectively be used to trade the stock market or futures markets using our course based on Gann's unique trading methods. Our Gann trading course contains much of Gann's secrets and techniques to potential successful trading of commodity futures, forex currencies, stock indices and the stock market, using "hands-on Plain English" learning skills. We are including in the lessons, charts, plus annotated copies of Mr. Gann's old charts done in his own hand-writing. Our Gann Trading Course also comes with a unique custom-made acrylic custom Gann angles tool, with instructions for drawing Gann angles on Gann method type of 'square' price charts. In this Gann Course we address issues such as: Did W. D. Gann use Astrology in his Trading (the answer may surprise you); Square Chart Definition and Usage; How to Make a Gann-style Square Chart, Squaring Price and Time; Geometric Angles; Which Gann Angle is most important (answer about why it's so powerful is surprisingly easy to comprehend); Angle Concepts; Gaps on Charts; What Causes Chart Gaps; Square of Nine and other gann related methods, plus more about The Squaring of Price and Time. Why spend $1,000 or more elsewhere to learn these techniques when you can learn the best methods in this course at such low-cost. Please note, some methods may use our own interpretation, added twists or variations, better understandability and ease-of-use, added tools, or used in ways to improve trading results. All that at a bargain price of only $97 with free S&H in the USA (Non-US traders please contact us for cost with foreign shipping). No credit check loans are aimed at people who are looking for credit but do not want to undergo a credit check. Generally, this is because they believe their bad credit will disqualify them from being approved for a loan. Learn more here. Complete guide on how to set up a gold IRA and pick the right custodian. Credit Matters is a professional and licensed moneylender in Singapore providing personal loan Singapore at the lowest interest rates. Visit us at www.creditmatters.com.sg today. 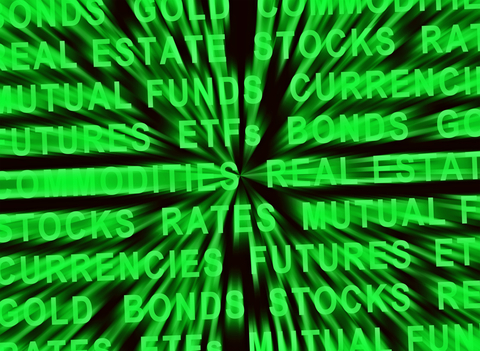 Some investment experts have long recommended diversifying a retirement portfolio with precious metals. The primary value being a hedge against future market uncertainty and volatility. 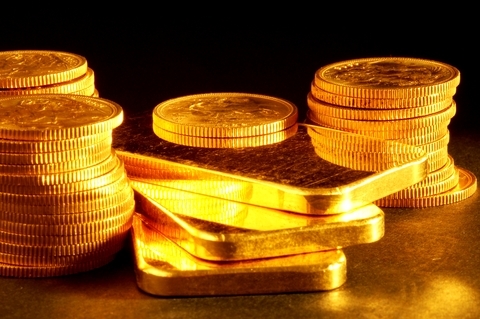 Reviews of the many gold ira companies that can help you diversify into precious metals are available online. Research your decisions carefully and get your retirement portfolio in tip-top shape. We used the MobileCasinoParty reviews and picked the best places for real money games at U.S. internet casinos. MobileCasinoParty's real money casino sites have the best slots and live dealers! It is how some people start investing in what is fun to play while winning extra cash to put back into options. Plus, with luck anything can happen. Offering same-day funding and low rates, Charter Capital leads the way. Please note, for security and identification, we have recorded your server details and location, IP address and time of visit. Notice: There is a high risk of loss in futures trading. Past performance is not necessarily indicative of future results.